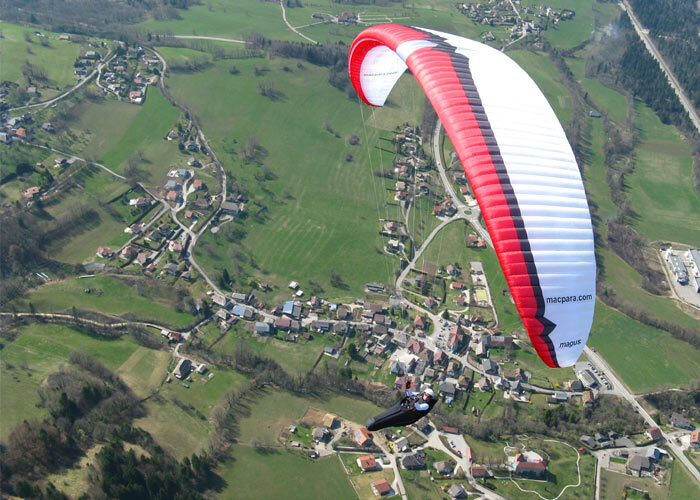 The Magus 6 is a real competition glider that should only be flown by highly experienced competition pilots with the skill to exploit the glider’s performance potential. 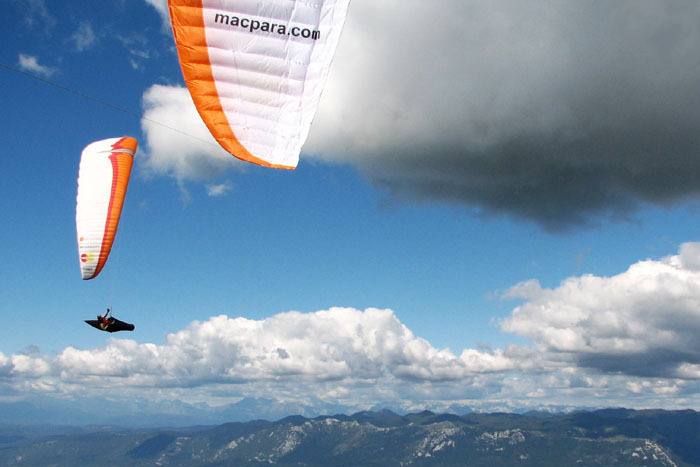 To develop a sophisticated glider with this much potential, the MAC PARA Team carried out many test flights with numerous different prototypes that took many painstaking hours. Competition + Performance = RESULTS! 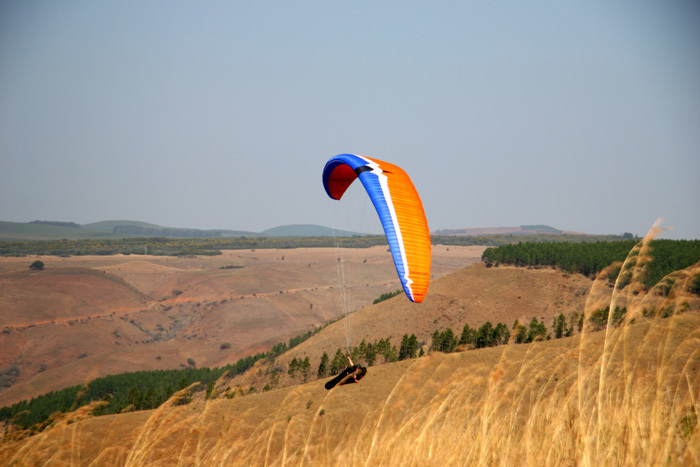 The Magus 6 is 3 line system glider and has an aspect ratio of 7.4. Main ribs are fitted with a special reinforcement system which helps achieve a clean wrinkle free canopy. 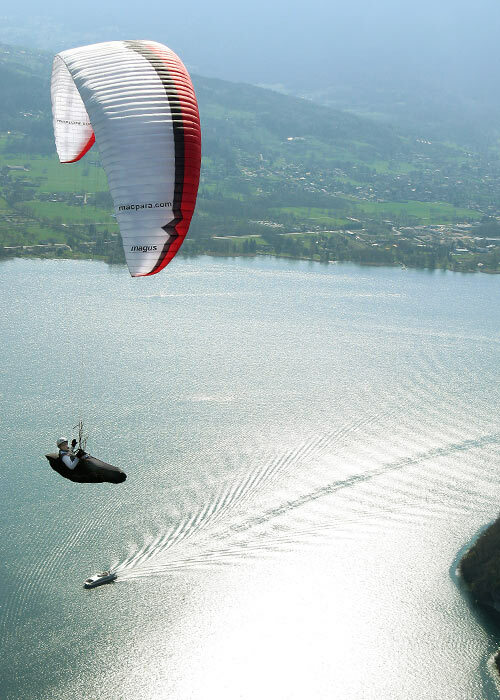 Carefully calculated airfoils of different thicknesses give the glider an excellent glide performance and stability both at trim and on accelerated flight. 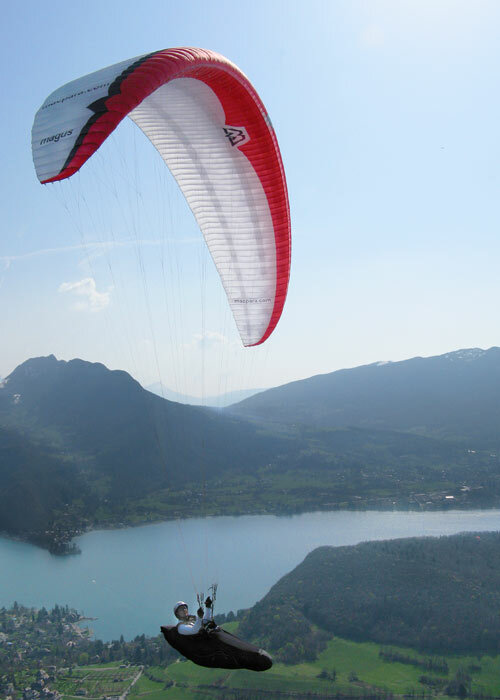 The reinforcement flap system in the centre of canopy combined with the bunching system on the wing tips give precise handling with outstanding climbing performance. Best glide can be achieved with partly or fully closed trimmers with the speed system accelerated to 25-30% and of course released brakes. 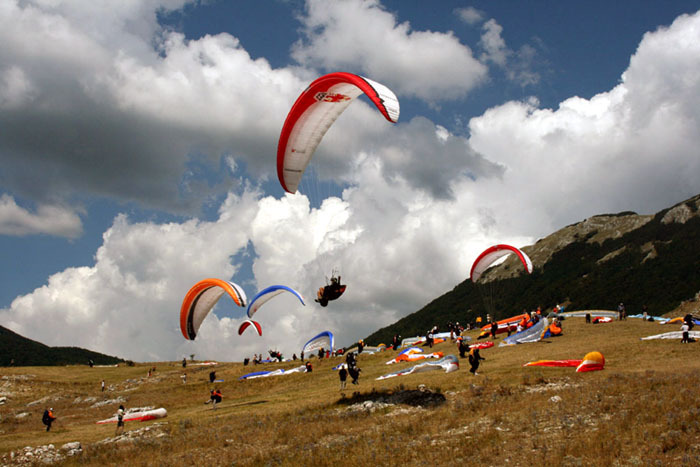 The glide angle whilst accelerated to 50% is quite remarkable compared to other competition paragliders. Thin risers (12 mm Kevlar/Polyester) are fitted with quality Harken pulleys. Maximum speed can be achieved with open trimmers and with speed system accelerated to 100 %. 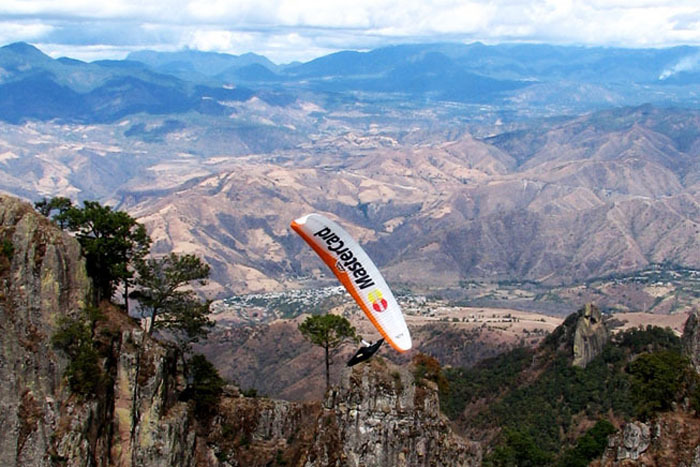 The maximum speed measured with a high wing loading is 64-67 km/h. 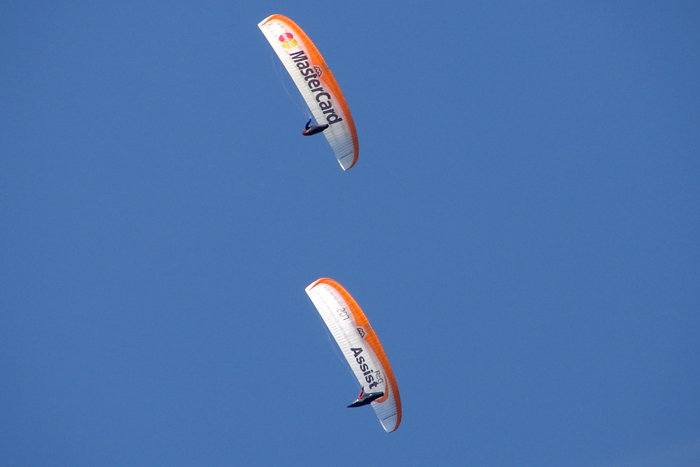 Glide ratio is remarkable giving you an edge on the competition. Just take a at the competition results or ask any Magus 6 pilot how awesome this glider is to fly. 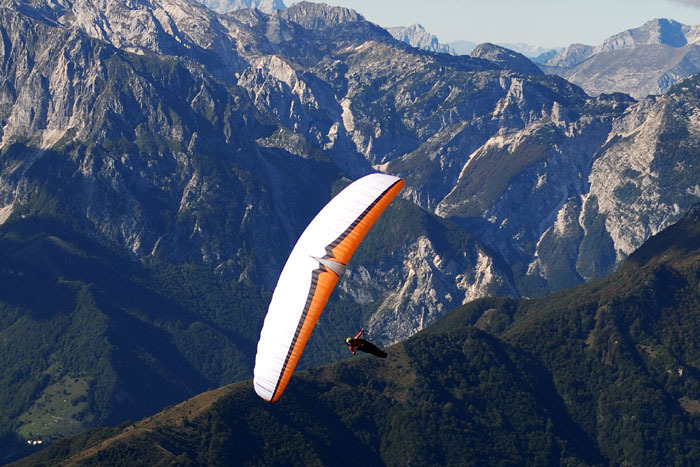 "The glider is fantastic! This was the first time in four years that I was able to stay with a world cup lead gaggle every day without much effort. 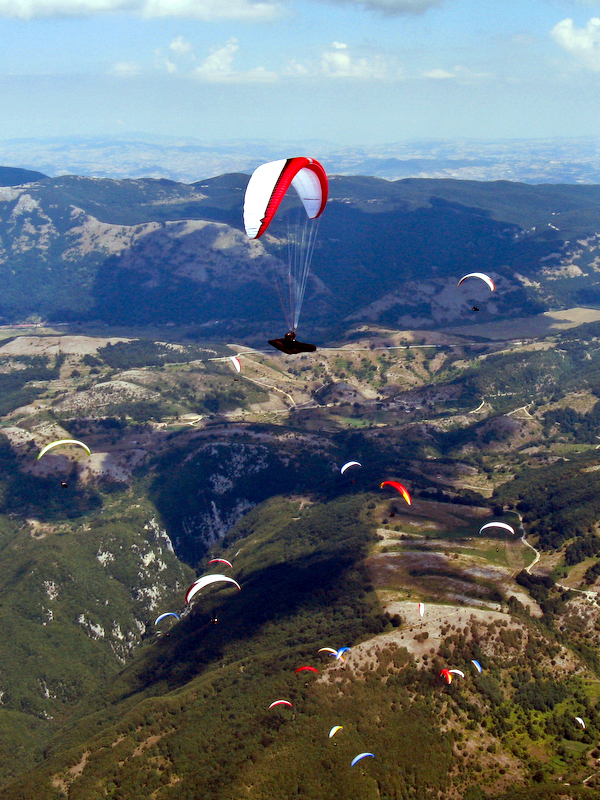 On the last day I flew for 100km with test pilots/proto-types from Gin, Niviuk, Advance, Axis, Airwave and Ozone. My opinion after this day is that the Magus is better on glide, glide at speed AND stability at speed. The climbing was the same and perhaps slightly better than some. There was only one asymmetric collapse in 20 hours of flying in strong conditions which resulted in a 90° turn with some roll, but the glider corrected itself with minimal input required. Craig Morgan wrote on 26th of August. I’m very excited about my recent win at the British Championship. I had 2 major goals this season, the first being to win the British Championships and the second was not to have any major incidents.The Magus has performed with real confidence inspiring stability which has allowed me to achieve both of the targets. Top pilots I have flown against this season often remark on how well my wing goes but what they can’t see is the passive reaction the Magus has after a major collapse. Stability at speed is all important for me and the Magus achieves this requirement admirably. Thanks for a great wing. Like all new MAC PARA gliders the topsail is a mixture of materials with different coatings. 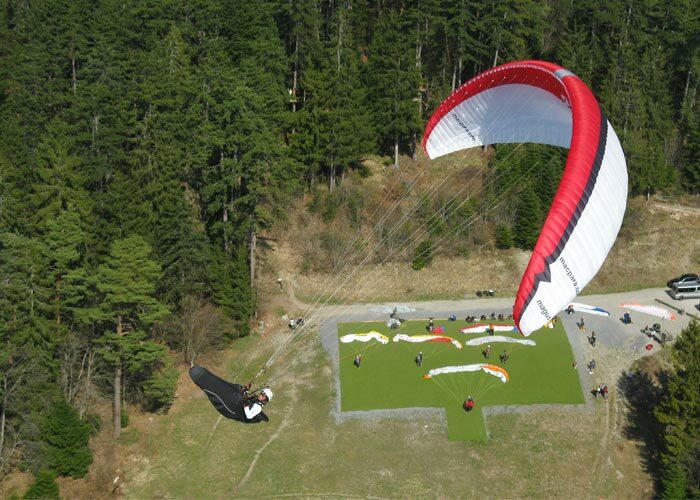 The Magus 6 is manufactured using the paragliding industries well established lightweight material with excellent durability; Skytex 40, from Porcher Sport (NCV). 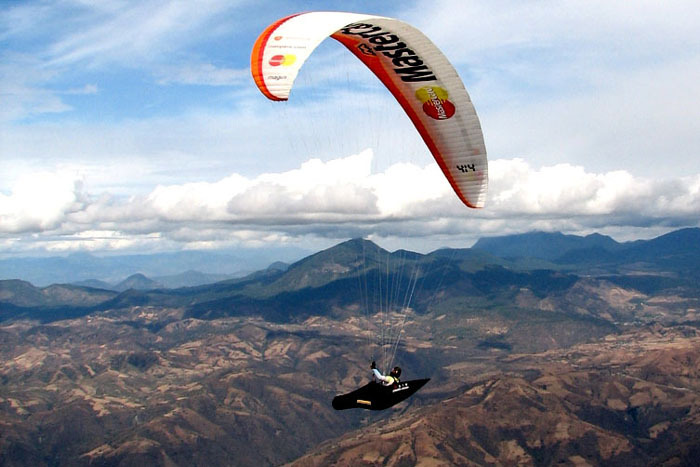 Because for any glider, the part that always wears out first is the leading edge, we use Skytex 40 with double water repellent E77A coating for this. For less stressed parts of the sail we use Skytex 40 with E38A coating. For all ribs and diagonal ribs we use Skytex 40 with E29A “hard finish” coating. This gives the advantage of a sail that is both lightweight and very durable with a clean canopy. The different parts of the design are assembled to keep the cleanest canopy. The Magus 6 is equipped with a classic competition line system with every third rib attached. Top lines are made from proven unsheathed Edelrid line series Aramid 8000 with a coating to increase UV-resistance. Main lines are made from pre-stretched Liros Dynema lines of different diameters. The 3 point risers are equipped with a progressive trim system with small 20 mm claws. The brake handles have velcro straps and a swivel attached steering line. 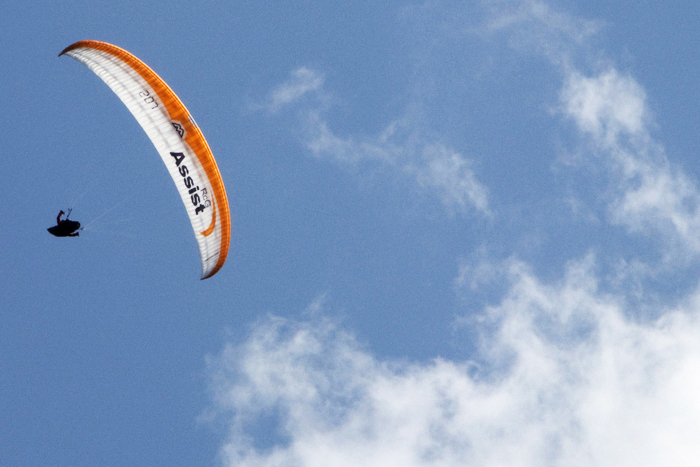 Mac Para use their latest Pg software to aid design, giving cleaner sails and therefore less drag to the airflow, and enhanced glide performance. 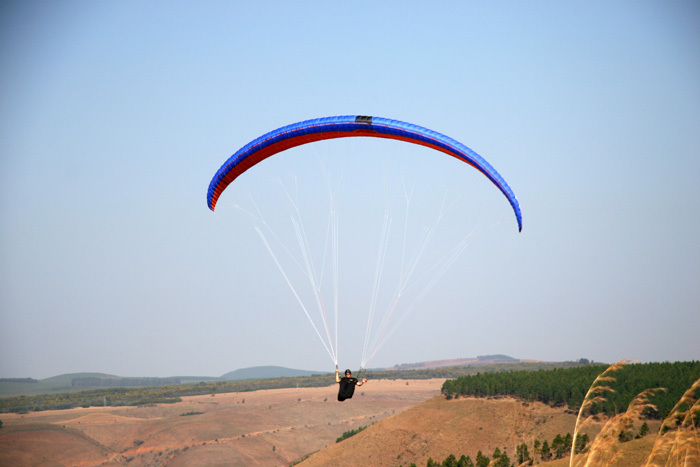 The use of high-quality materials and constant quality control during manufacturing process together with consistent development work on competition gliders leads to high-end quality products. We are proud of them. The new colour scheme is enhanced by transparency and gives a modern look to the wing. The Magus 6 is available in three colour designs (Orange, Grey, White). The Magus 6 is available in sizes 23 m2, 25 m2, 26 m2 and 28 m2.